Vilas D. "Dusty" Rhodes, age 97, of Linton, passed away peacefully at 1:10 am on Sunday, October 28, 2018, at Glenburn Home. He was born in Midland, Indiana on August 25, 1921. Dusty was a graduate of Midland High School. He was a WWII veteran of the Army Air Corp. 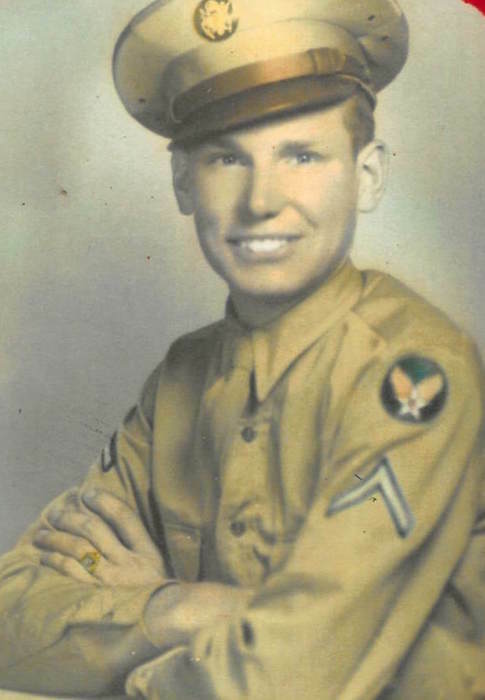 He began working at Davidson Electric and Machine Works as Machinist when he came back from the war then he bought the company after years of working there. He was a member of the Sullivan American Legion and Summerville Church of Christ. He is survived by his granddaughters, Lisa, Amy and Rachael; 3 nieces and 2 nephews. Dusty is preceded in death by his loving wife of 75 years, Rae Rhodes; son, Teddy Rhodes and two sisters. Arrangements have been entrusted to Welch & Cornett Funeral Home in Linton.